The following is a list of Pre-Hire Requirements for employment as a truck driver for Kunshek Chat & Coal, Inc. This list may not be all inclusive and is subject to change at any time. 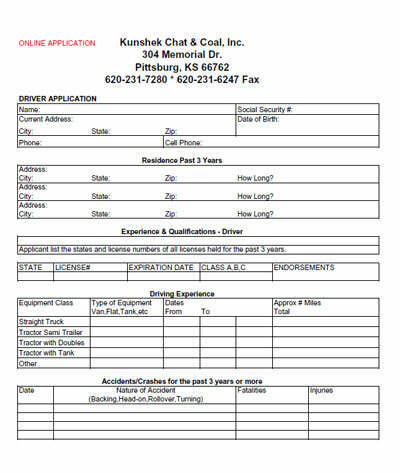 Kunshek Chat & Coal, Inc. relies upon the accuracy of information contained in the employment applications, as well as the accuracy of other data presented throughout the hiring process and employment. Any misrepresentations, falsifications or material omissions of the individual will keep the applicant from further consideration for employment or, if the person has been hired, termination of employment.